I have three poems in the newest issue of Menacing Hedge. "Pockets Full of Stones" is a poem inspired by Virginia Woolf's suicide. "Meet me at Hotel Elsinore" was written after watching Hamlet 2000, starring Ethan Hawke. It is an odd movie which left a lasting impression. 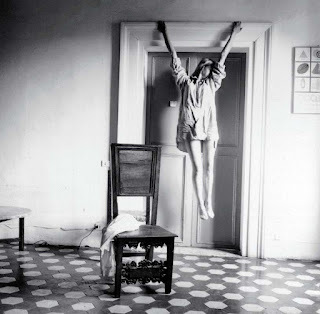 The third poem, "Seeking Francesca," was inspired by a visit to the Pastificio Cerere, here in Rome, one of the plants where photographer Francesca Woodman, took many of her iconic stills. Check the whole issue and fall in love with Susan Yount's amazing collage! Many thanks to Editor Kelly Boyker Guillemette and all the other Editors. We are just a few days into 2017 and I am happy to celebrate my first publication of the year. 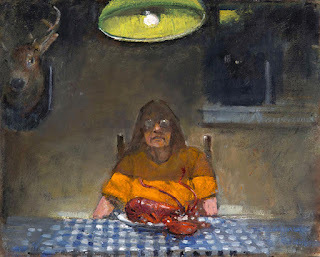 Two of my poems have been included in the latest issue of Arsenic Lobster, edited by Susan Yount. The first of the two "70s Blues" is one of the first prose poems I wrote. It deals with growing up in the Years of Lead and it is a sort of "conversation" with my dad. I am very fond of this poem and I am glad it found such a lovely home. The other poem "The Fury of Hummingbirds" is a tribute to Frida Kahlo, one of my artistic icons. Check out all the poems and reviews and thank you for reading my work!